Come join us for our 6th Great Day of Service. This year everyone is invited to work together on one project. We will be bagging a tractor-trailer load of potatoes. We’ll gather in McWhirter Hall at 9 a.m. for a light breakfast and then head to West End’s parking lot for bagging. The food will then be delivered to agencies serving the poor. 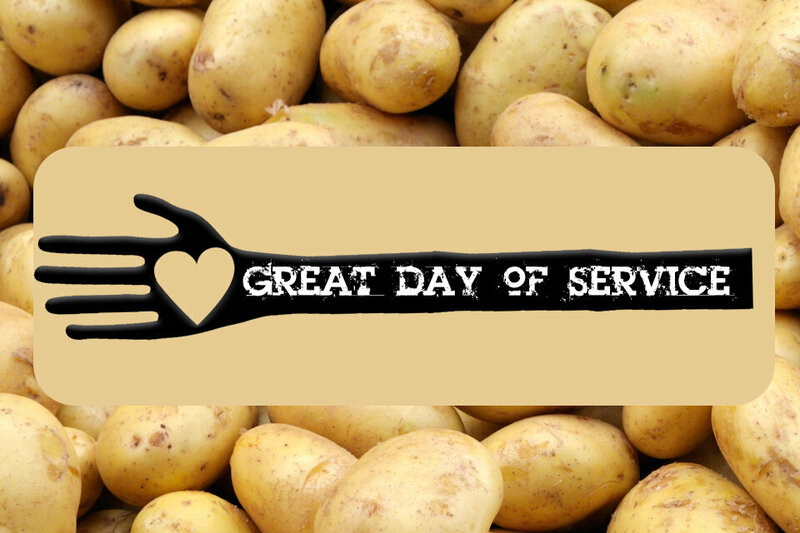 Society of St. Andrew will arrange for delivery of 30,000 to 40,000 pounds of potatoes or produce for us to bag. We’ll need a lot of people to get this project completed. All ages are invited and encouraged to participate. Come and bring your family and friends! For more information, contact Lisa Gwock at lgwock@westendumc.org. This form is no longer available. It was closed for further submissions on 04/01/2017.